Diamonds are surely some of the most classic slots symbols ever, forming game symbols since the very advent of fruit machines. 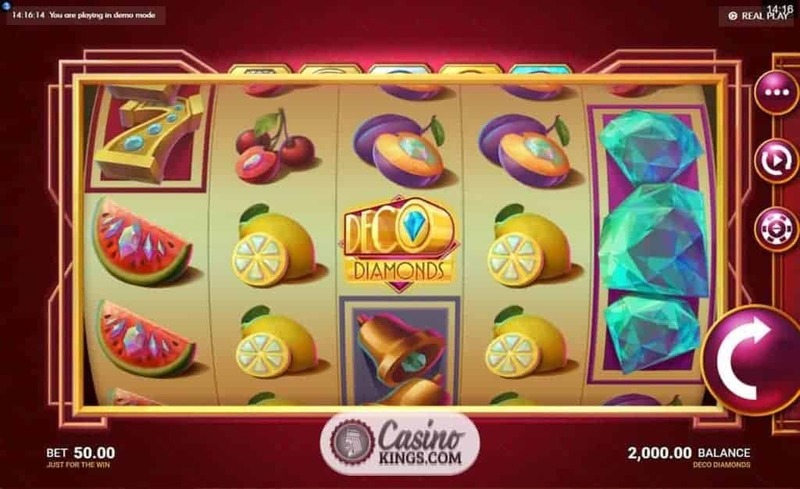 In that sense, they are perfectly retro, and this is very much the style in Microgaming’s Deco Diamonds Slot. And why not? Upcycling is bang on trend in slotsville, after all. Played out across five reels, nine paylines and featuring stacked symbols, Wilds and bonus features, Deco Diamonds proves a useful addition to any slots catalogue. Art Deco shows off a particular visual style, so no surprises that Deco Diamonds utilises that very same style that was the epitome of fashion in the 1920s. A playful swing ditty accompanies our gameplay that we could easily imagine as a 1920s show tune, complete with revellers dancing the Charleston and supping Martinis. 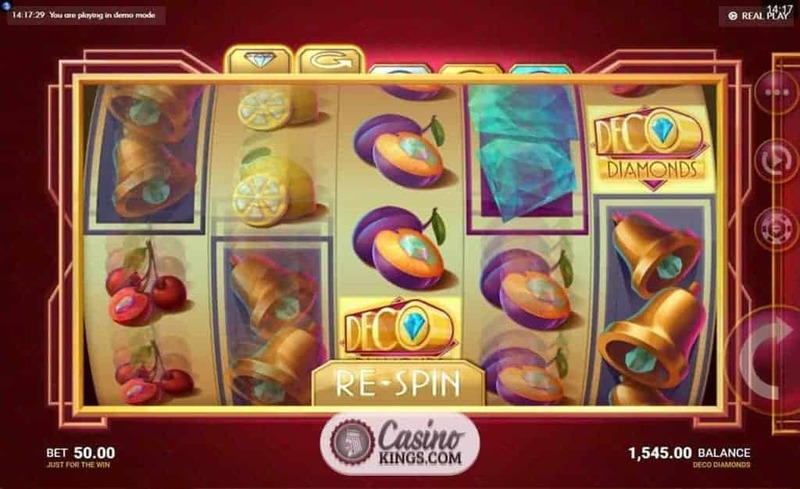 To top off the retro feel, Microgaming has achieved a wonderful curve on the reelcase, giving the impression we are indeed spinning the reels of a classic retro fruit machine. For us, the Martinis are optional as we hunt down the game’s stacked symbols, all of which are nods to historic slots classics. 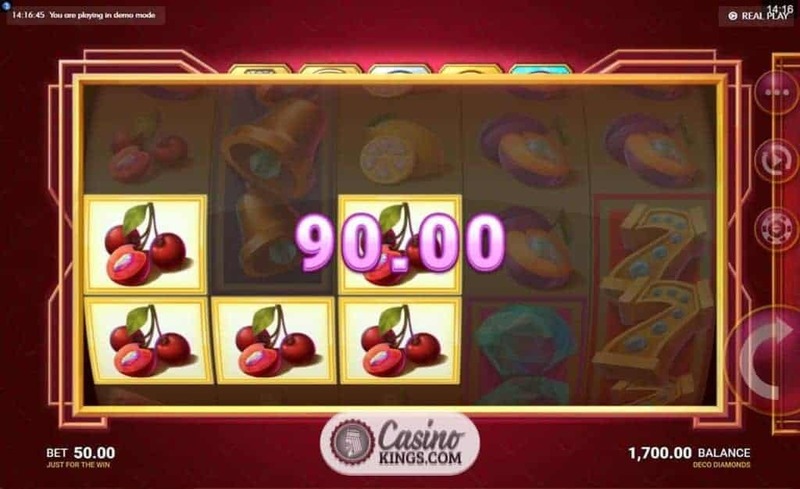 Diamonds, 7s, Bells, Watermelons, Lemons, Plums and Cherries make up our game symbols, all of which appear stacked to boost our base game wins on this slot’s nine paylines. The Deco Diamonds game logo is our Wild, substituting for all game symbols as we go. Not only is the Deco Diamonds symbol the game’s Wild, but it also acts as our Scatter that can trigger a two tier bonus game. Landing a Deco Diamonds symbol brings an old fashioned cash register like ring and a Diamond symbol to ring up at the top of our reel case. Land two such Scatters and we trigger a Respin in a bid to land a third, fourth and fifth Scatter. Should we manage this we not only earn the payouts we can expect to enjoy for landing multiple Wilds, but we also launch the Deco Diamonds bonus feature, the alluringly entitled Bonus Wheel. The prizes on the Bonus Wheel depend on the number of triggering Scatters. 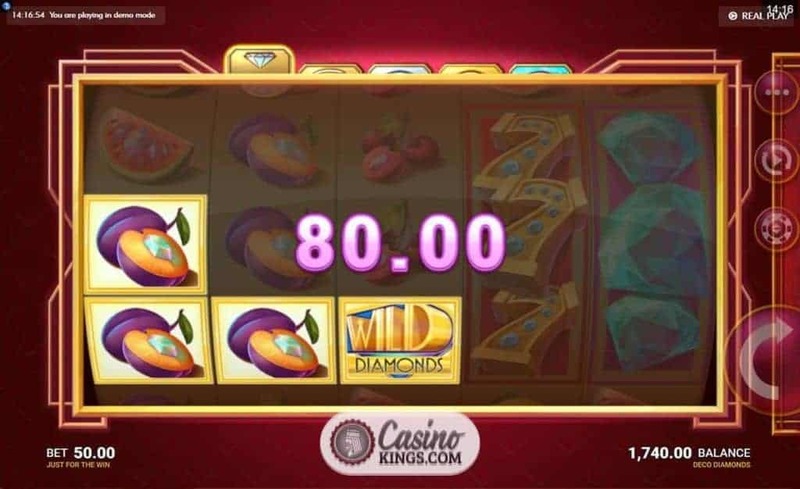 Three, four and five game logo Wilds award Silver, Gold and Diamond levels, with hefty bet multipliers decorating the wheel. We also have the chance to land Level Up symbols, affording us the opportunity to do just that and increase our prize multipliers. Otherwise, we have just a single spin of the Bonus Wheel to land as big a multiplier as we can muster. As always, Microgaming’s game design is superb. The easy-to-use betting interface makes the gameplay smooth, while the diamond-studded game symbols add the pizzaz that such classic slots symbols deserve. 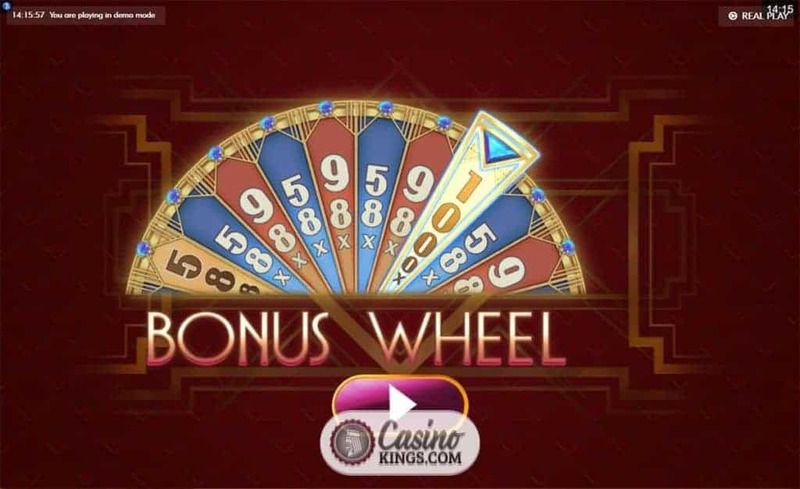 Nine paylines might not seem the most generous, but with stacked symbols and multiple Wilds, plus the Respin opportunities to trigger the Bonus Wheel, there is plenty of retro slots appeal to be enjoyed here. A doozy.